If I lived in Kansas City I’d count all the fountains in the city. I’d have elaborate maps and grid systems and city plans. And I’d come up with different symbols for different types of fountains, I’d have a database of city grids cross indexed with photographs. Um, I think I miss teaching geography. Plus it really disturbs me that nobody knows exactly how many fountains are in the city. 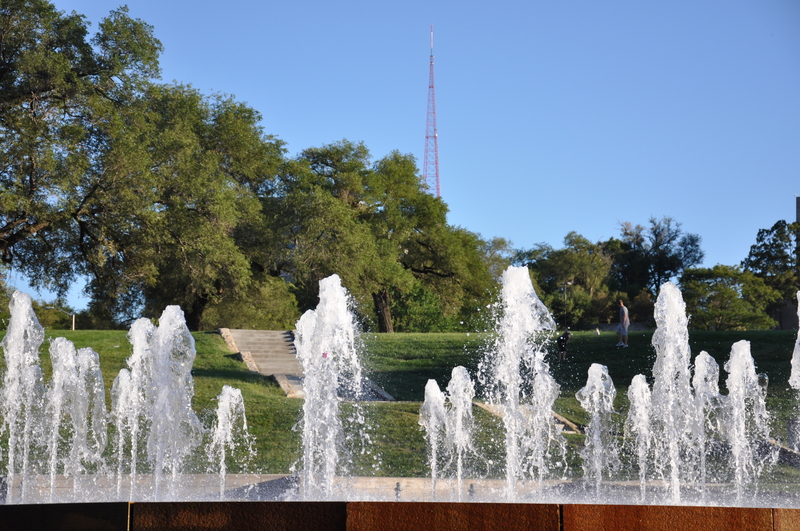 I’ve read that only Rome rivals Kansas City in fountains-per-mile, but I want to know for sure. If anyone would like to sponsor such a project, just let me know. 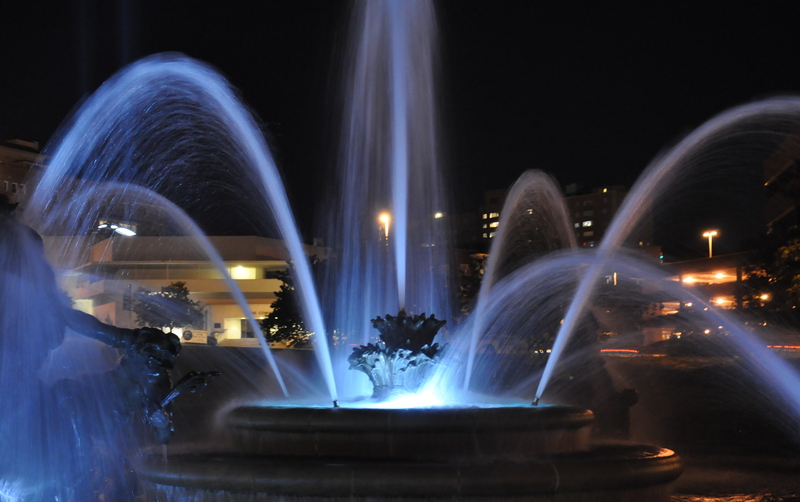 Although there are fountains all over the city, the best place to hang out amongst the dancing waters is the Country Club Plaza. There are some great hotels downtown (plus a farmers market with very reasonable prices and my new favorite museum in 18th and Vine district), the park-lined Crown Center is nice, but I HIGHLY recommend you stay on Country Club Plaza. 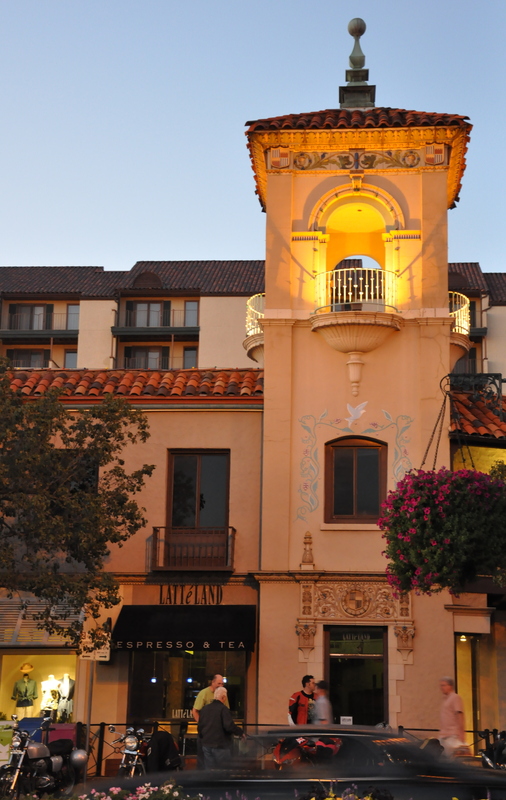 The clusters of shops, illuminated horse-drawn carriages, Spanish inspired architecture and the nearby Westport bar district makes it the best part of the city. 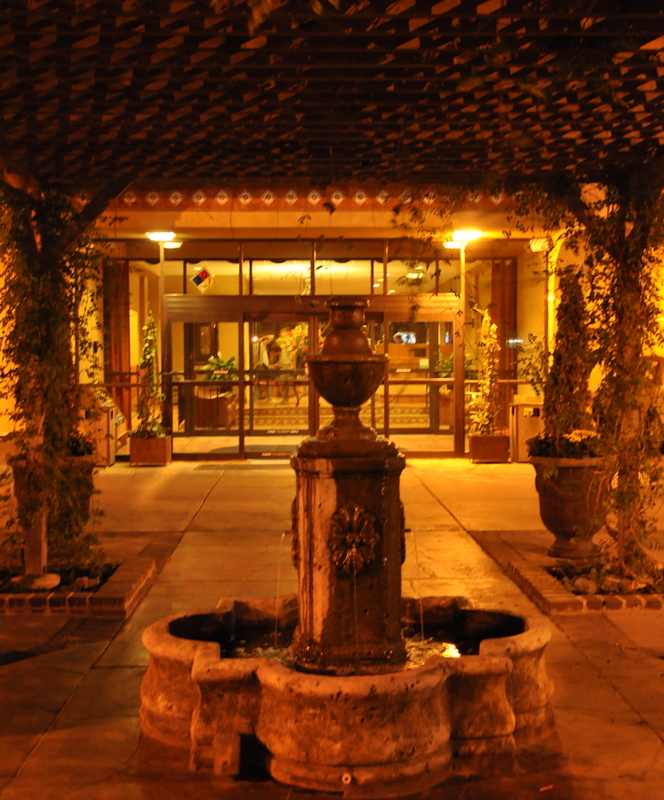 There are several hotel options right in the Plaza (Courtyard Kansas City Country Club Plaza, the Kansas City Marriot Country Club Plaza), but save yourself some money and stay at the Best Western Seville Plaza. Yes, it is right across the street from a liquor store, but it is also steps away from the Plaza. The Spanish-style lobby is cool and you can have your free breakfast (including biscuts and gravy!) on the patio grounds outside the hotel. Plus Kala and Jason at the front desk really made our stay with their maps and suggestions on what we should do and where we should eat. 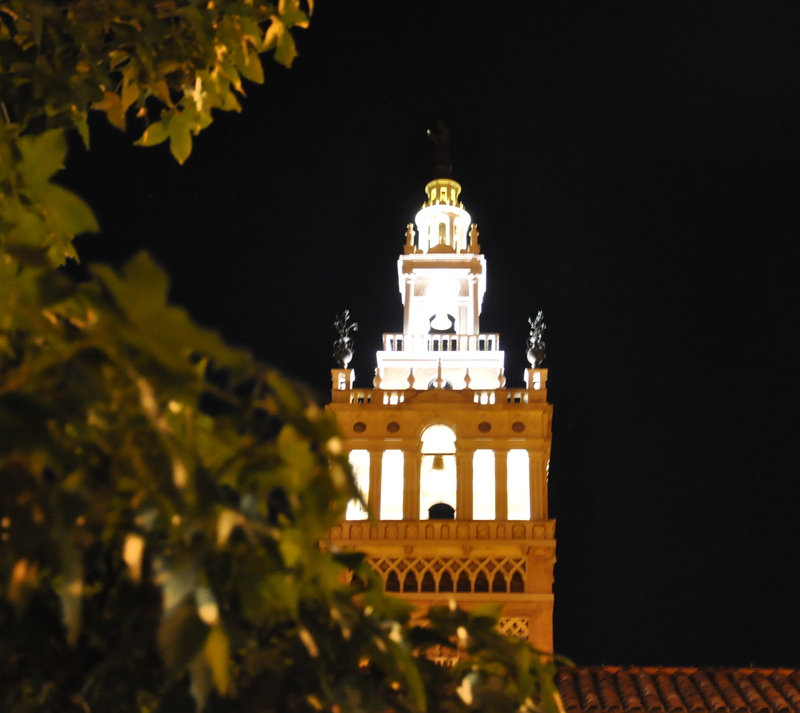 So whether you want a relaxing visit to a seriously underrated city or want to embark on a mapping adventure with me, your stay should center around Country Club Plaza. 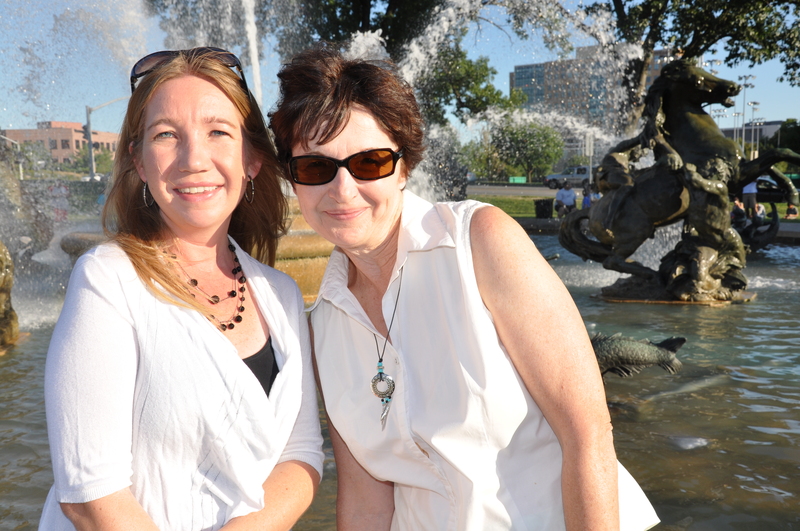 Happy fountain viewing! Cockeyed Caravan Okay, so this is a screen writing website, and I don’t even really like movies, but “The Ultimate Story Checklist” is so brilliant that I had to link them. Plate and Planet Healthy Food, Healthy Families, Healthy Earth. Aka my mom’s sustainable food blog. Now if we can only get my brother blogging…he’s the best writer in the family! Unbrave Girl Sally’s HILARIOUS blog about potato chips, her couch, and China.